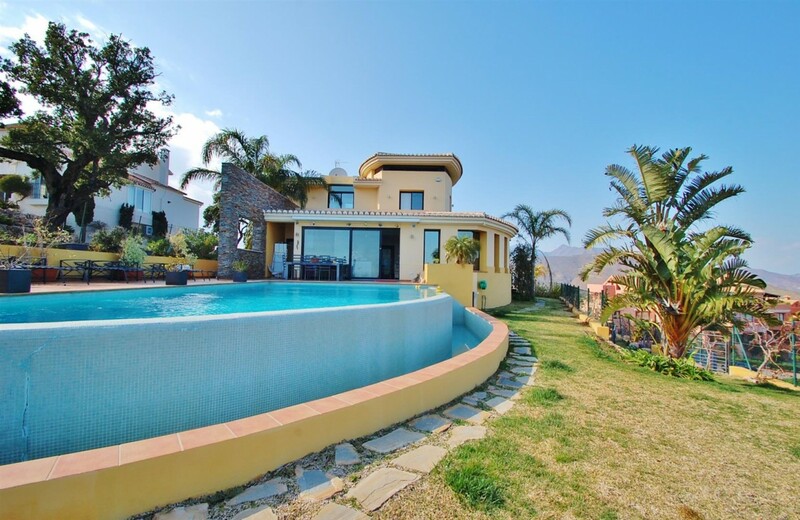 Contemporary villa in La Mairena. 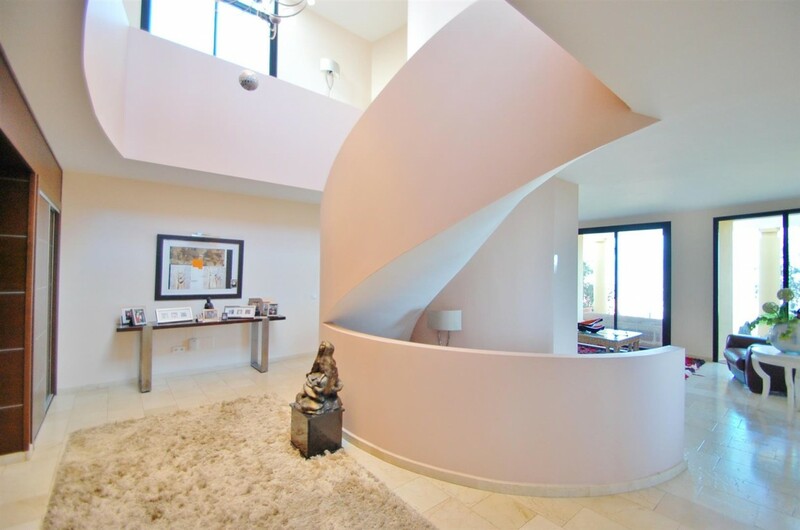 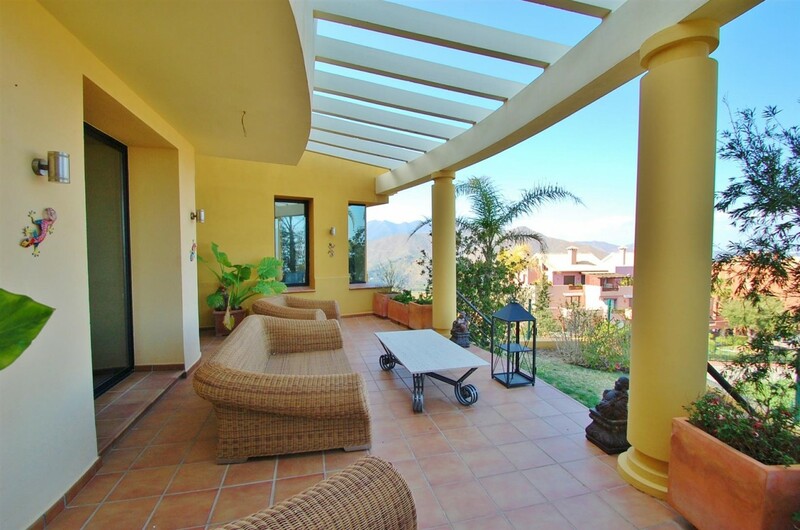 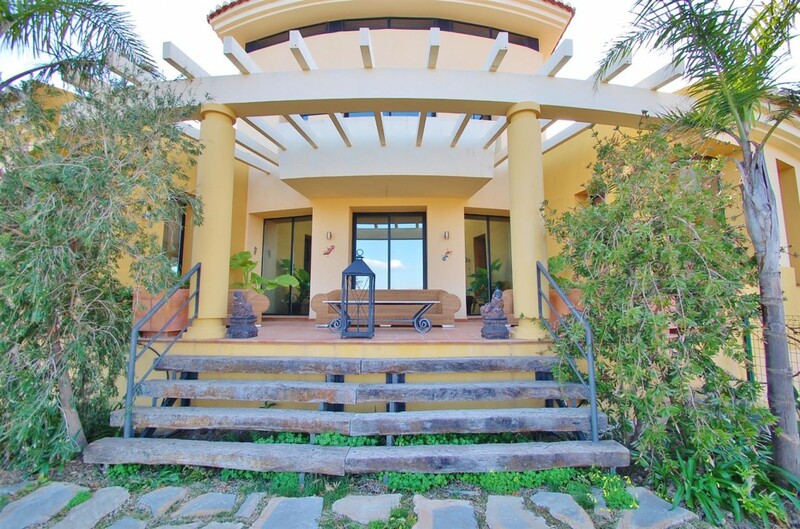 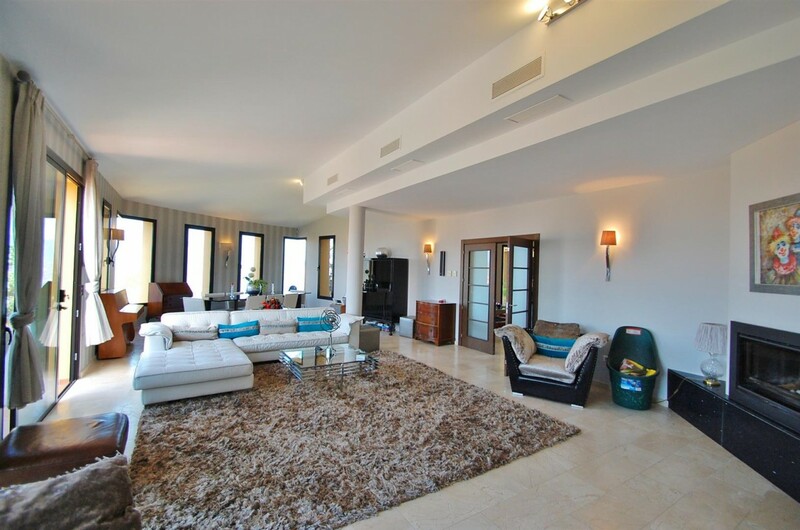 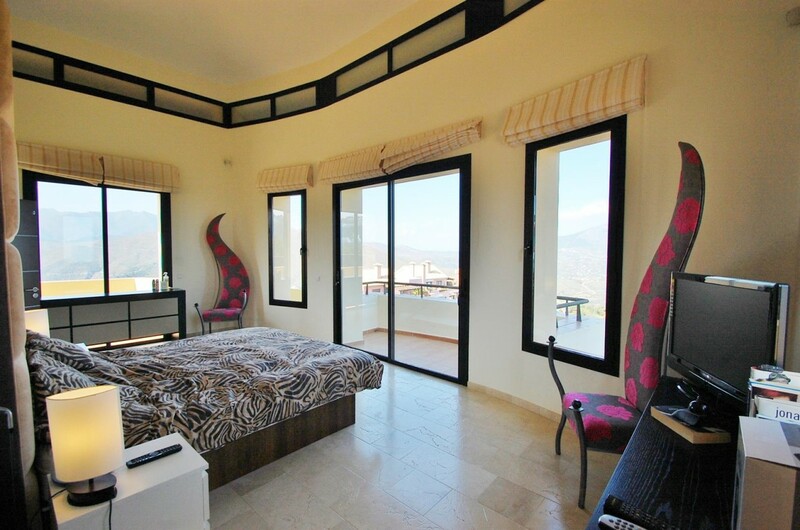 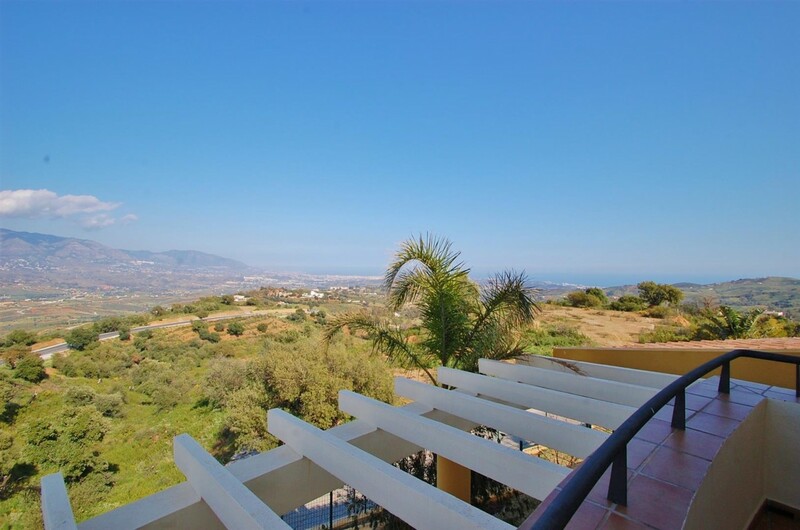 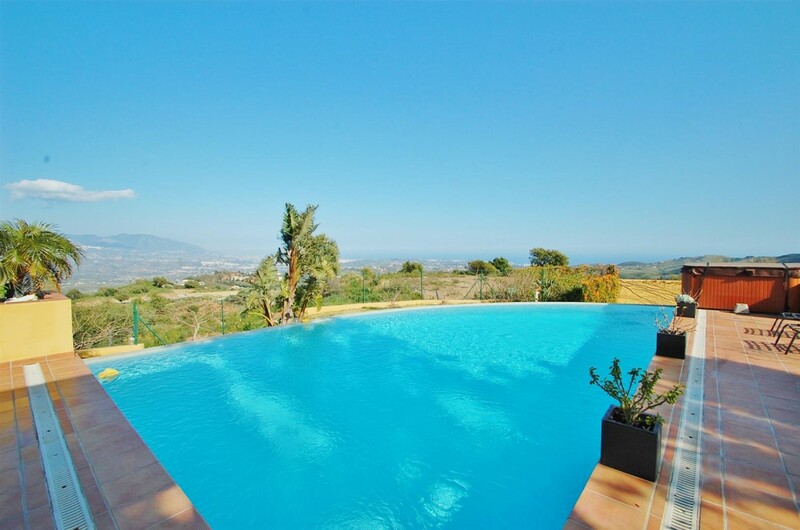 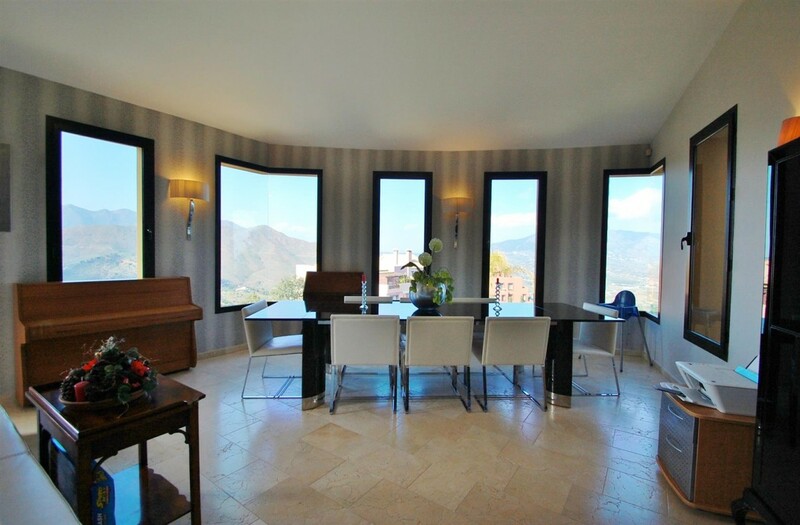 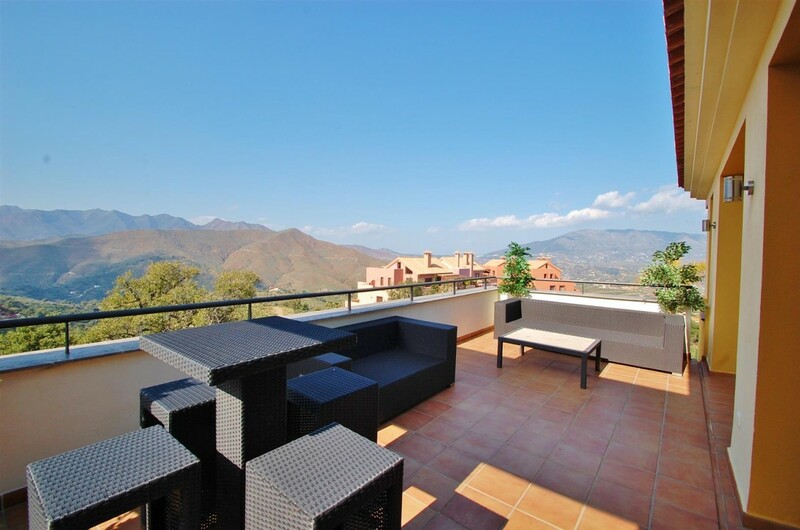 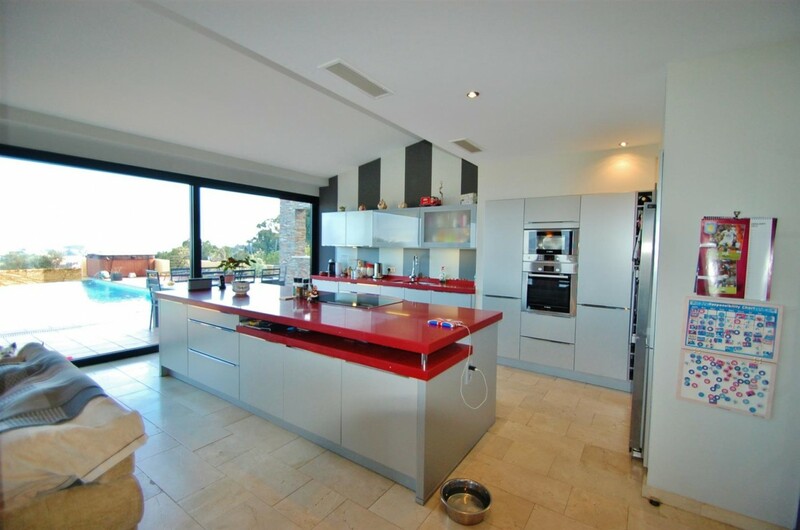 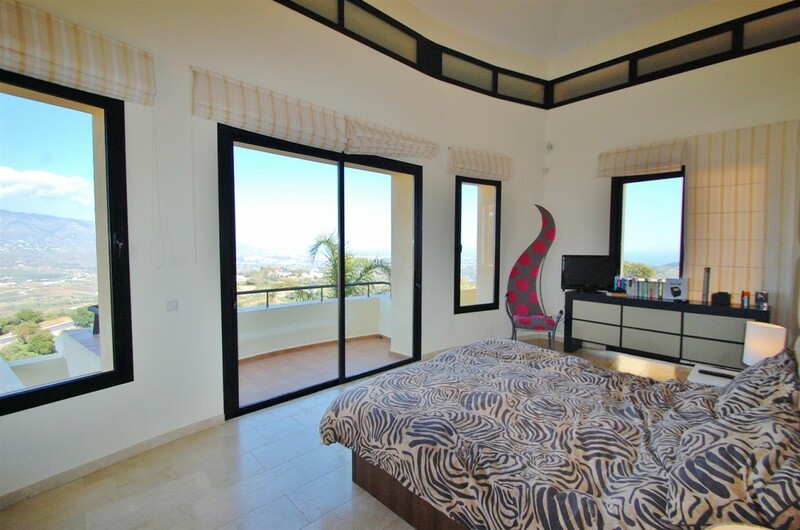 This beautiful modern style villa is located in La Mairena, in pure nature surroundings offering spectacular sea, coastal and mountain views. 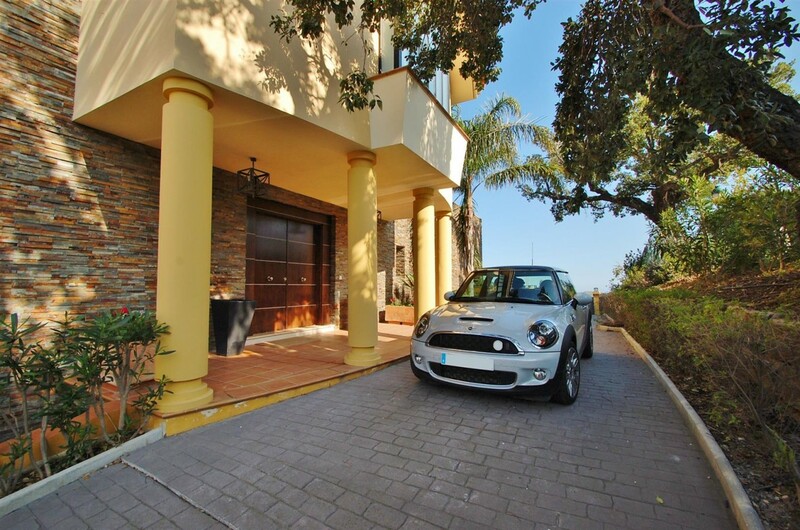 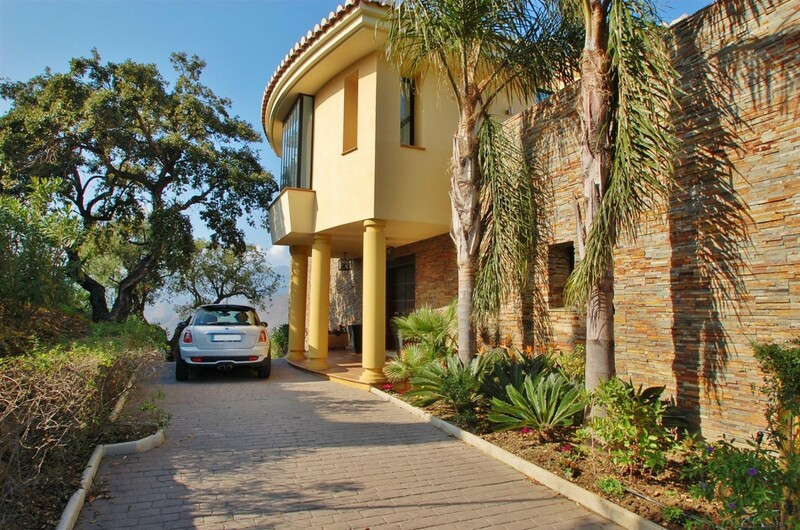 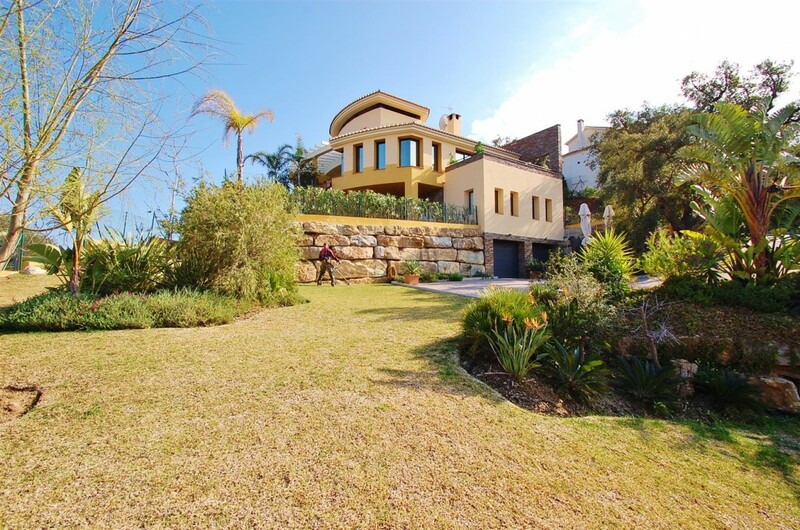 The main features include a magnificent private garden with infinity swimming pool, air conditioning hot/ cold, marble floors, under floor heating, fully fitted kitchen, laundry room, fireplace, barbecue area, double glazing, water tanks, satellite T.V., alarm system, Jacuzzi, basement, lift, safe, garage for 4 cars and it is located only 15 minutes drive from the beach.